A beautiful addition to our Little Red Riding Hood fabric line by Windham line. The story of Little Red Riding Hood on a beautiful red background with the story line printed in white along with fun little flowers. Who wouldn't love to have this great fabric to go along with our other fun Riding Hood prints. All fabric from The Quilted Nursery Fabric Store is cut directly from the bolt in continuous yardage. We now offer fractional yardage cuts for your shopping convenience. All fabric is shipped in 24 hours except for Sundays and holidays. All shipping overages are refunded on shipment of fabric. 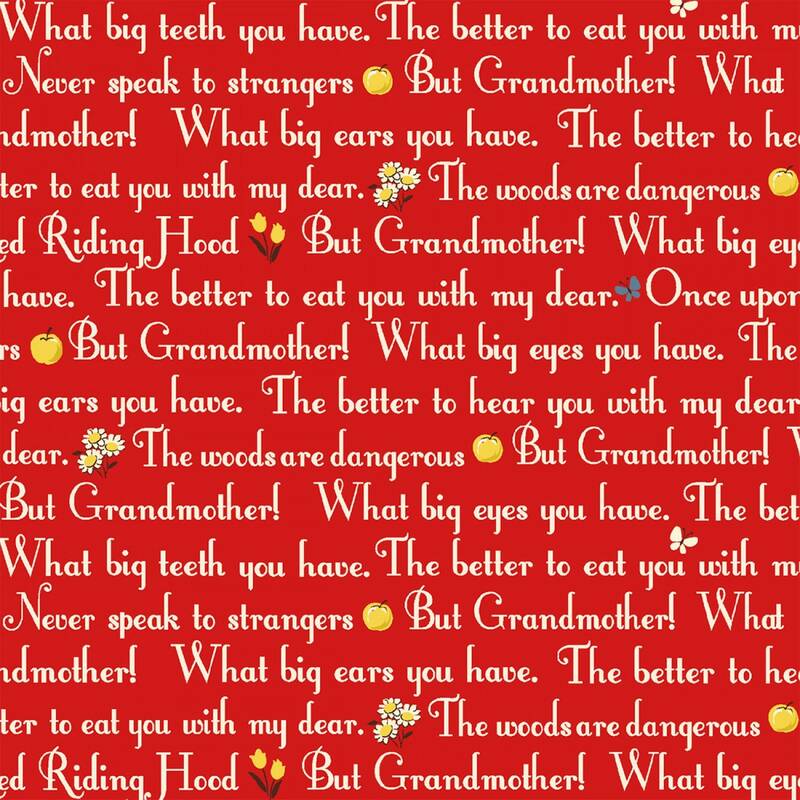 Make sure to copy and past the link listed below into your browser for a great quilt pattern using this great Little Red Riding Hood fabric.